Cohutta 100mi mountain bike race will kick off the NUE series for me. I'll be joined at the start line with my invaluable training buddy Maria who has been riding really well in the last few months. I hope to stay on her wheel as long as possible! Adam and Trevor will also be there, throwing down in the single speed division. Yeah Team Noah! Nerd alert! Team Alpine Shop on scooters at MISSION 2013. ...is a doozy with quality racing/training action almost every weekend! We'll kick things off with The Cedar Cross, 112mi gravel grinder in central Missouri, hosted by the one and only Bob Jenkins. If you haven't met Bob (of Team Virtus fame), you will be a better person just after shaking his hand. So come to Cedar Cross and experience greatness, and the thrill of riding singletrack on a 'cross bike. Then I get to race with the Alpine Shop boys at the MISSION 18hr adventure race in Versailles, IN. We won this race last year, and are hoping to compete for the top spot again! Then I have a tentatively scheduled training weekend over Memorial Day with my WABAR teammates, location TBD. What's a WABAR? It's a conglomerate team I am a part of for my first attempt at a multi-day race later this year. WABAR stands for WEDALI-Alpine Shop-Bushwhacker Adventure Racing because we have people from each of those teams represented. Simple, right? To finish out May in style, I'll head off to Ohio with Team Noah Foundation for my second NUE race, the Mohican 100. David and me during Plot/Pedal/Paddle 2013. Thankfully, I have a couple weekends off after the madness of May, and then I'm heading up to northern Illinois for Plot/Pedal/Paddle 18hr adventure race with Alpine Shop. There is another NUE race that same weekend (Lumberjack 100 in Michigan), and it was a really hard choice between the two events, but adventure racing comes first for me, so PPP it is! The very next weekend we will be fine-tuning the race strategies of WABAR at Stubborn Mule 30hr in Wisconsin. I have wanted to do this race ever since I started adventure racing because there is a mule on the shirt! So excited! Andrei, me, Rachel, Mike of WABAR! There is "only" one thing I'm signed up for in July: Cowboy Tough, a 3.5day point-to-point adventure race in Wyoming. It will be the first multi-day race for me and Andrei; Rachel and Mike raced Untamed New England in 2012 as a 2-person. They going to guide us newbies through the joys of sleep deprivation! With 4 solid navigators on our team, we are hoping for multiple orienteering relays (definitely won't happen, but we can dream, right?). me and Andrei at 2012 CPT Nationals. After we recover from Cowboy Tough, Andrei and I are going to team up again for the World Rogaine Championships which are being held in the US (South Dakota) for the first time since the 2004 event in Arizona. Jeff and David will be there too, running as a 2-person male team, while Andrei and I take on the 2-person mixed teams. There are a bunch of other SLOC and MNOC people competing too! Party time! Excellent! Just one week after orienteering for 24 hours on foot in the Black Hills, I will race Thunder Rolls 24hr adventure race in Northern Illinois with Alpine Shop. Our legs are going to be absolute crap, but we are just hoping that everyone else's will be too! Karkhagne section of the OT in winter 2014. We are not lacking for grassroots racing here in Missouri. Several fine people associated with the Ozark Trail (including one Mr. T. MOnster) are organizing the inaugural OT100MTB race and I intend to be on the start line for one of the most soul-crushing hundos offered in the US. The curious thing about this race, is that there is no one thing that is particularly difficult. None of the climbs are that epic. None of the trail is especially technical, at least not for extended distances. But it is the unrelenting, rugged singletrack that just works on you for mile after mile and will push each rider deep into their own pain cave. I can't wait. If I can swing it, I'll head down to Georgia for Fool's Gold 100, the NUE Series finale, and destination of one of my favorite road trips of all time! me and Jeff at 2013 USARA Nats when we switched pants. October's a big month with big racing. 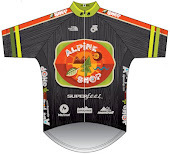 Alpine Shop will probably be making the trip to Maryland to compete at USARA Nationals, a 30hr adventure race with the best teams in the country. We finished 8th overall last year, and we definitely want to improve on that! Then it's back home to Missouri for 2 of my favorite ways to end the season - Burnin at the Bluff 12hr mountain bike race, and BTEpic 55my mountain bike race. Both of these events serve up serious singletrack with an even better after party. #TBT from Hat's bachelorette party, that's me on the far right, preeeeeeetty close to what I'll be doing in November...passing out! So that's my season. I'm sure November will be spent in a largely vegetative state, hopefully eating lots of vegetables instead of lots of cookies. It's ambitious with a ton of travel: I'll be racing in at least 8 states, not including Missouri! Hopefully I can keep the race report machine cranking along so you can head all of the ins and outs of this crazy season of racing. One thing's for certain - I've found some of the best teammates a girl could ask for, and I can't wait to spend time with them in the woods! Yea! Some races in common! I'll be at Cedar Cross, Stubborn Mule (with my own conglomerate team), and Thunder Rolls. Super excited to hear how your race goes this weekend! Well, and to read about all the rest of your epic year as it unfolds. Good luck! !